Improve flexibility, balance and mobility. Increase flexibility and decrease tension. Enjoy the benefits, Active, Fun & Social. Align & Balance offer health and fitness services to Canberra and the surrounding region. We are located at the Bonython Neighbourhood Hub and specialise in improving individual’s health, strength, flexibility and wellbeing. We offer a friendly alternative that is low impact but highly effective. Align & Balance specialises in training individuals over the age of 40, with an emphasis on corrective functional exercise, postural alignment and creating flexible bodies. The classes on offer are designed to incorporate Strength, Flexibility and Balance. We are a friendly non-competitive group that work hard in class but also enjoy social activities. Thank you Nicky for your own special brand of ingenious teaching, delivered with positivity and kindness. Attending Pilates and Stretch classes for over 3 years with Nicky has turned my life around. She has facilitated the best thing that I have ever done for my body. In spite of some osteoarthritis I am now strong, flexible and at 65 have a renewed ability to enjoy life! Align & Balance is owned and operated by Nicola (Nicky) Gibbons. Nicky began her career as a professional dancer and Resident Director/Company Manager of musical theatre shows. She has run a successful mobile personal training business in Sydney and the Blue Mountains NSW, prior to moving to the ACT to start Align & Balance. 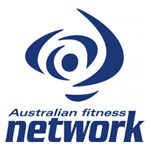 Nicola is a registered Cert 3 and 4 Fitness Professional with Fitness Australia and has attained Advanced Level Master Trainer. 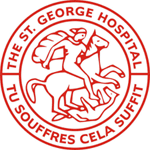 She is also qualified as a Pilates Matwork Instructor and Strengthening for over 60’s teacher gained from St George Hospital, Sydney in alliance with their physiotherapists. Additionally, she is qualified in Nutrition, Swedish/Remedial Massage and recently a Nordic Walking Instructor. With over 30 years’ experience in the fitness and dance industry she is fully aware of the requirements that must be considered when training the more mature or injured individual. She has worked with a vast array of clients covering all aspects of rehabilitation, pre and post-natal mothers, seniors, clients with cancer or neurological disorders, clients with weight management issues, or those just simply wanting to get fitter. Nicola’s aim for all her clients is to provide an enhanced quality of life through correct exercise and nutrition. Nordic Walking courses are available at different times during the week. Nicky, your clear explanations of what we are doing and why, has helped me understand my body and given me the confidence, at 75, to continue to live the lifestyle I love. The sense of camaraderie in class is a bonus. I am so grateful. Class numbers are limited so bookings are essential. Make a start to a healthier lifestyle. Nicky, you made turning 50 more enjoyable – being positive, having more energy and loving an active lifestyle. Wow! That deserves a big thankyou!! You have had a huge impact on my life and I am forever grateful. I have a lot more confidence in my ability to keep the weight off and you are solely responsible for this. Thankyou so much!